Deborah Jayne Jewellery > Promotions > Countdown to Christmas; 41 Days! Today I have chosen this beautiful re-worked vintage necklace as my featured product. This exquisite crescent moon necklace has a gorgeous centre recrafted from a vintage brooch. 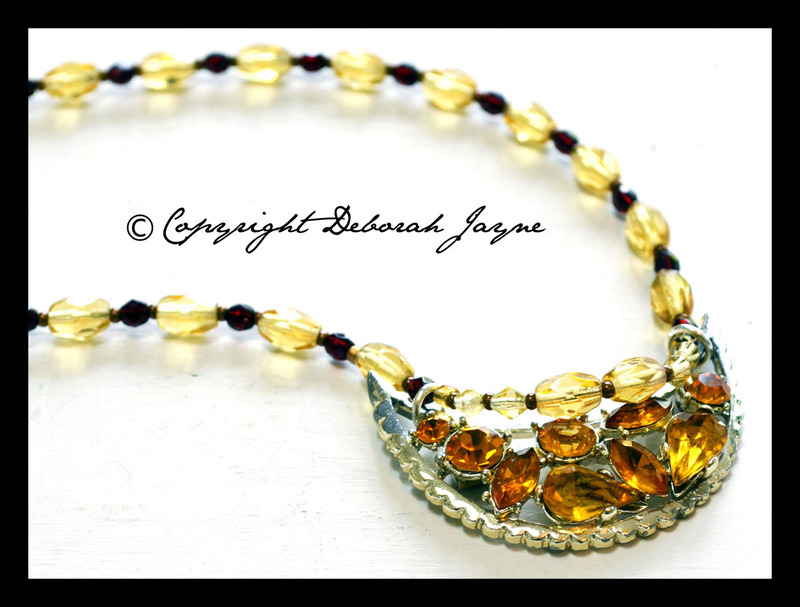 This is heavily set with a mix of amber paste stones (Rhinestones) and is suspended on a beaded necklace of vintage amber tone glass and modern deep brown glass. For vintage lovers, fans of ethical handcrafted jewellery and anyone who loves a bit of sparkle!